We are on Round 61, or thereabouts, of the Rotating Stuff game where family members try to get rid of their stuff by leaving it with other family members to put with their stuff. We first began playing the game when the kids went to college. They always came home with far more stuff than they left with. When they went back to college each year, they left a lot of the extra stuff behind in bedroom closets, on shelves and under the bed. We let their stuff be. We didn’t touch their stuff. We let it gather dust and watched as it silently multiplied into more stuff. Whenever one of them graduated, got a new job and moved into a new apartment, we immediately seized the opportunity to take all their old stuff and move it in with their new stuff. 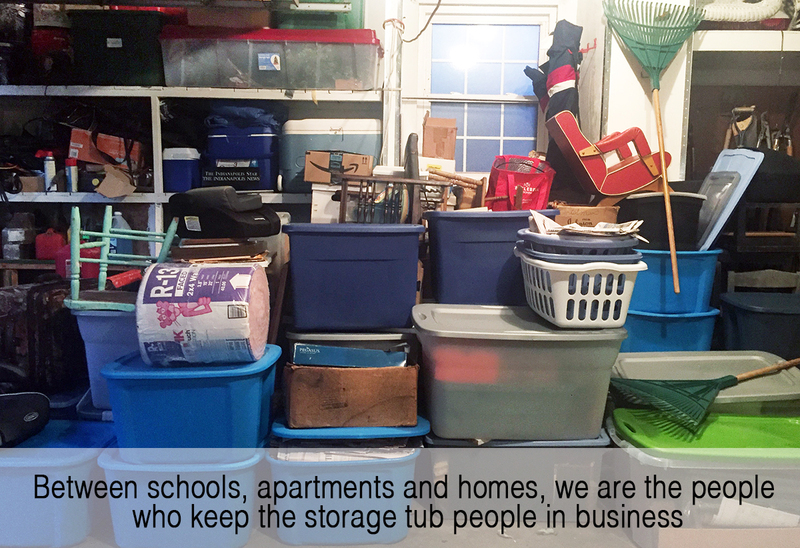 “How have you managed without these two large wooden oars, snowshoes and 17 crates of art supplies?” we asked. The score was back in our favor. But not for long. When they each got engaged, they moved back home for a few months before their weddings. They brought more stuff. Bigger stuff, heavier stuff. Furniture, small appliances, a big beat-up pickup truck with dual exhaust. The neighbors loved it. Especially when our son fired it up at 6 in the morning or came home late at night. The day after they each walked down the aisle and said, “I do,” we quickly began moving their stuff out of our place into their place. The key to winning the Rotating Stuff game is generosity. When you give their stuff back, give ten times as much stuff as they gave to you. 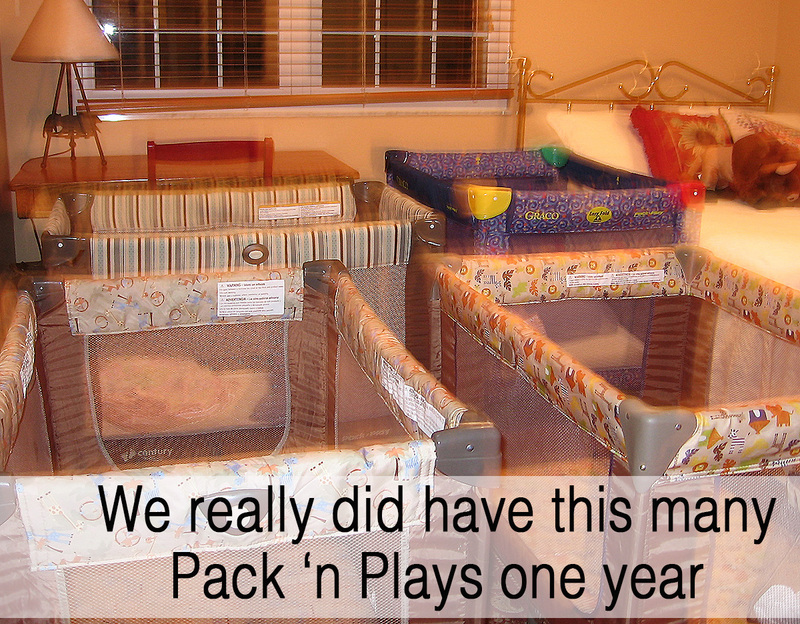 They started having babies and we started accumulating more stuff—cribs, pack and plays, high chairs, potty chairs, sound machines, baby monitors, blankets and toys. Pacifiers and diapers filled what were once empty dresser drawers. Sippy cups, plastic dishes, bibs and child-size forks and spoons were crammed into the pantry. “We’re running out of room,” I muttered. “The closets are beyond full,” the husband lamented. Then the youngest called. Her little family has outgrown their small home and will be moving. 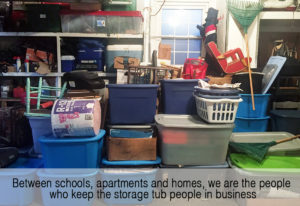 Could we help store some of their stuff? “The garage is full,” the husband said. “The attic is packed,” I said. “What do you need space for?” we asked. It will be five months before they can get into their house, a new build.